The rapid developments in magnetic resonance imaging (MRI) over the past 20 years have affirmed its supremacy over most other means of non-invasive exploration of the human body. This progress has had other consequences for imaging physicists: having knowledge about only one of the sides of MRI is nowadays no longer enough to develop new sequences or even to learn more about those that already exist. It is necessary to have a clear and precise view of all the fields explored today by this imaging technique, such as rapid imaging, flows, diffusion, perfusion or even functional MRI. 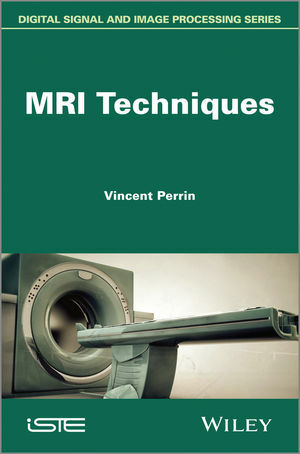 This book aims to allow readers with the basics of physics and mathematics within the field MRI to easily immerse themselves in techniques that are not familiar to them. Pragmatic in approach, moving between the physics underlying the techniques being studied and the clinical examination of images, it will also be of interest to radiologists looking to define protocols or make better use of the images obtained. Vincent Perrin is a specialist teacher in the fields of physics and chemistry.